The Danish Ebelskiver Pan from Nordic Ware is proudly made in the USA from cast aluminum with a comfortable, stay-cool, phenolic handle. 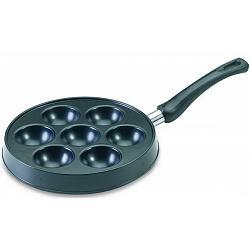 The ebelskiver iron allows you to make those delicious pancake balls. You can serve them unfilled or make them the traditional way with cooked apples inside. The aebelskiver pancakes are fluffy and taste great with butter, syrup, jam, or powdered sugar. 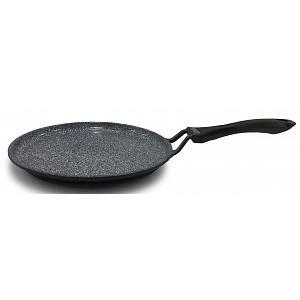 The ebelskiver pan has a non-stick finish and has a 10 year warranty.